Create your own fall festival with these laser cut cupcake wrappers. 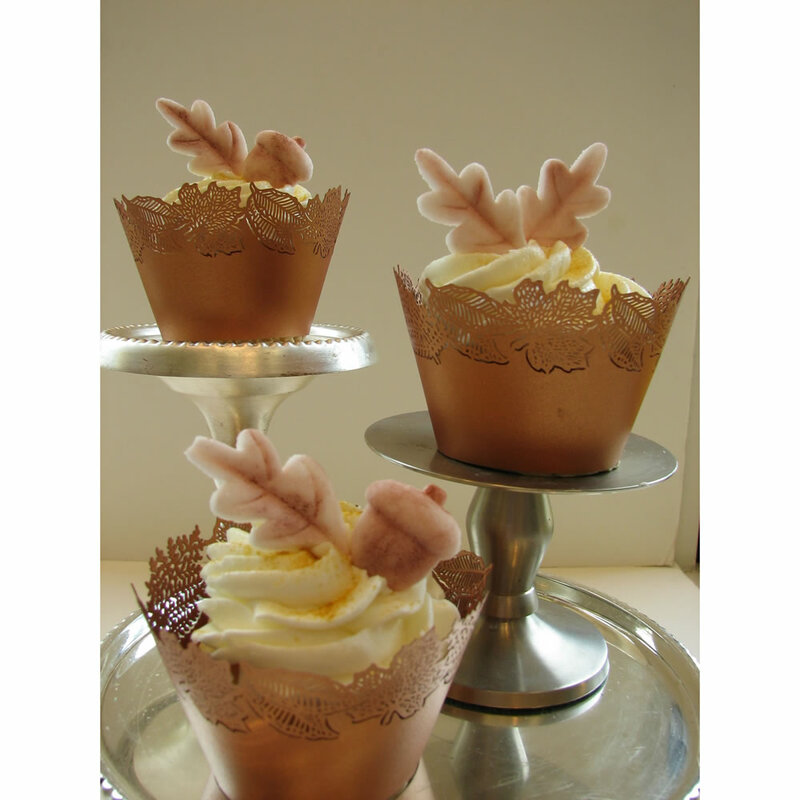 Just bake your cucakes in regular baking cups, decorate, and then wrap the wrapper around your completed treat. These wrappers are really spectacular and are made by the same paper company that creates the laser cut designs for Hallmark Cards. Check out our entire collection at http://www.fancyflours.com/site/search_advanced.html?mv_session_id=gpeAaGfi%3A64.25.133.118&search_clear=1&criteria=wrapper. Happy Fall!